Chinese politics from the provinces: Where Have Some Of The Farmers Gone? 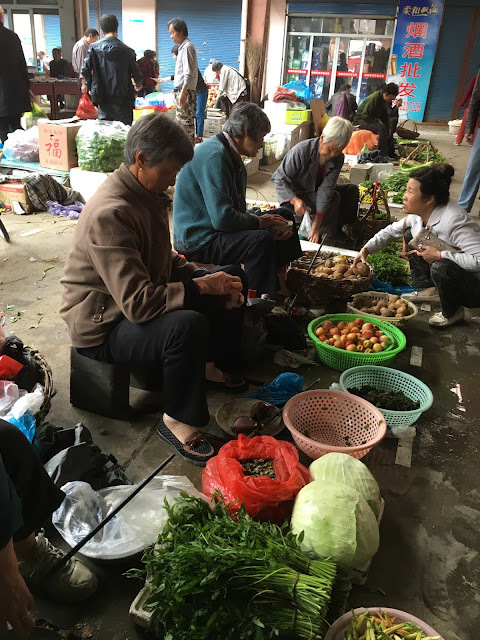 The local market in a township outside Nanjing city proper has far fewer farmers selling produce this year compared to just a few months ago. So far fewer, in fact, that some of the available space is being taken up by vendors selling household goods. Are the missing farmers in the local market—who form the bulk of the people selling produce at the local market, not middlemen as in the cities—the result of the recent weather patterns, specifically the rain that’s been hitting Nanjing and surrounding areas and plaguing the Jiangnan generally? Some local residents think so, though they point to the higher prices of vegetables in particular and note that the produce that is for sale isn’t nearly as good this year as it was last year. Or is this situation simply a reflection of larger social and economic forces? After all, townships all over China, particularly in Jiangsu, have seen a massive rearrangement of population in the last 40 years, one that shows every sign of continuing. Whether it’s been farmers and their families deciding to pull up stakes themselves and decamp for the city in the hope of a better future; or governments resettling rural residents to claim the land for economic development, the result has been the same: Fewer farmers, less land available for cultivation, and an income chasm between those earning wages in the city as construction workers versus those who continue to work the plots that remain. The Chinese government, for its part, has taken command in recent years, deciding that it can’t halt rural migration by social control. Instead, officials have been tasked to build bigger metropolises and absorb areas that border major cities, often by looking to pin remaining farmers in place. 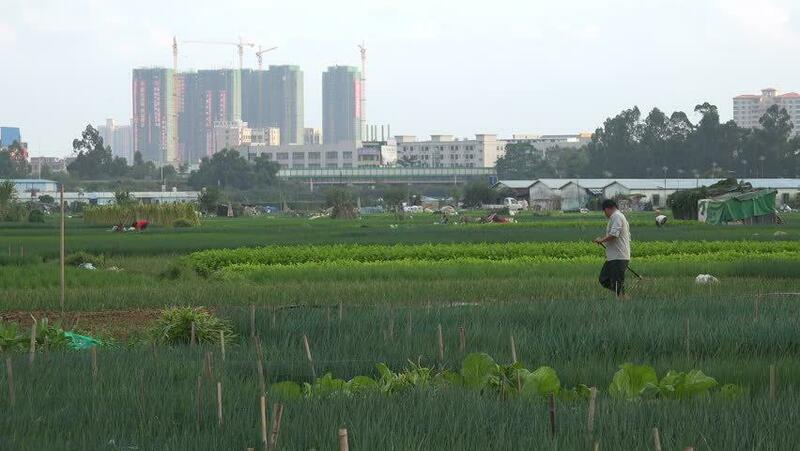 In Jiangsu, the rural skyline is often speared by towers that are homes marked for 安置农民, or “resettled farmers”. One can debate the precise figures and scale of this migration, but the phenomenon itself is beyond dispute. What’s debatable are how these policies are playing out at the local level. 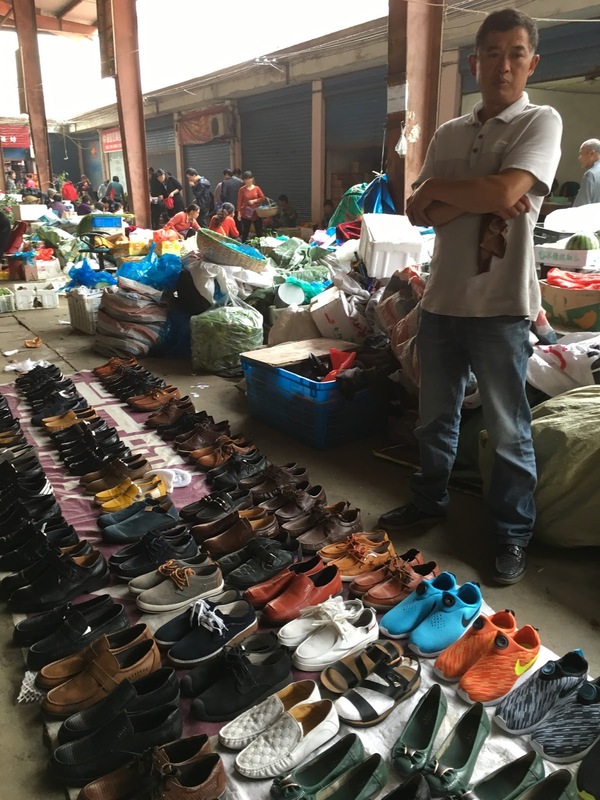 Those observers who see these relocations in China as inevitably resulting in social conflict tend to overlook that even involuntary resettlements rarely flare into violent disputes. Yes, there have been many land grabs, and there are instances of resistance and reaction, occasionally getting quite ugly. But the appropriation of land has tended to be local, limited in area, usually involving a few hundred residents at most. Officials here have learned to move carefully, curiously, and to project a sense of control from the top down. Moreover, Chinese policymakers now have considerable experience managing cases of relocation when they see those as unavoidable. After studying earlier cases where ignorance and arrogance on the part of some of their local colleagues sparked unhappiness and defiance, many officials are much better prepared to offer considerable compensation, better housing, and social services than they were in earlier years. Sadly, it’s stupidity that often makes the news; success in these projects rarely merits a mention—and there have been many residents who see their relocation as an improvement. Might the sudden dearth of sellers be a combination of the two situations—the macro-level dynamics where farmers are pushed or pulled off land, and a year where the deluge is from the heavens, not directed by Beijing? It’s not clear what the explanation is—at least not yet. But these sorts of macro-level policies make it likely that seasonal shifts when they happen (as they seem to be doing now) will strike localities with more force than before. And then it will not only be residents who will be compelled to adapt, but local officials, sandwiched between servicing their purported constituents and serving their political patrons. Local cadres are clearly becoming better at addressing local problems, and this is starting to look like another one of them. But they'll be caught between two camps--addressing local concerns while taking national orders--with nowhere to hide themselves. These are the problems of a population that's not staying still, and one that officials here are as much part of as the people they supervise.